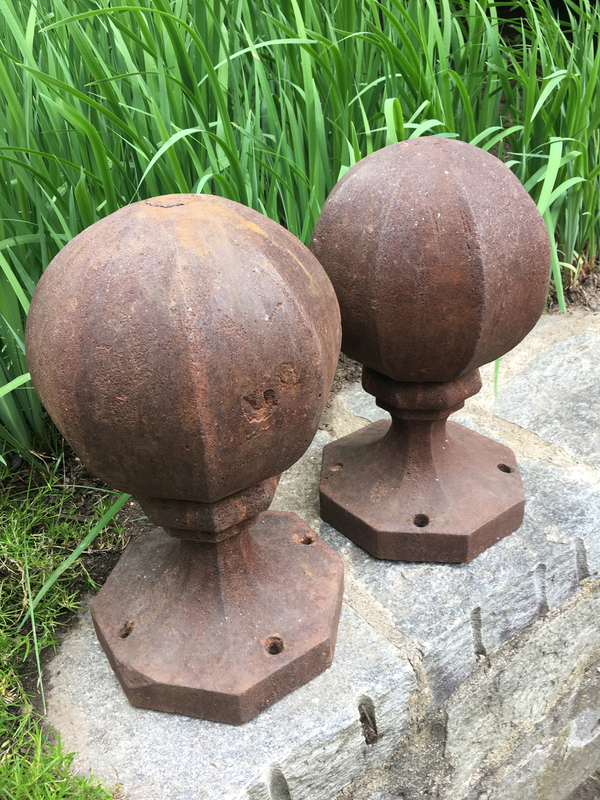 We love the rare octagonal ball form of these heavy cast iron finials. 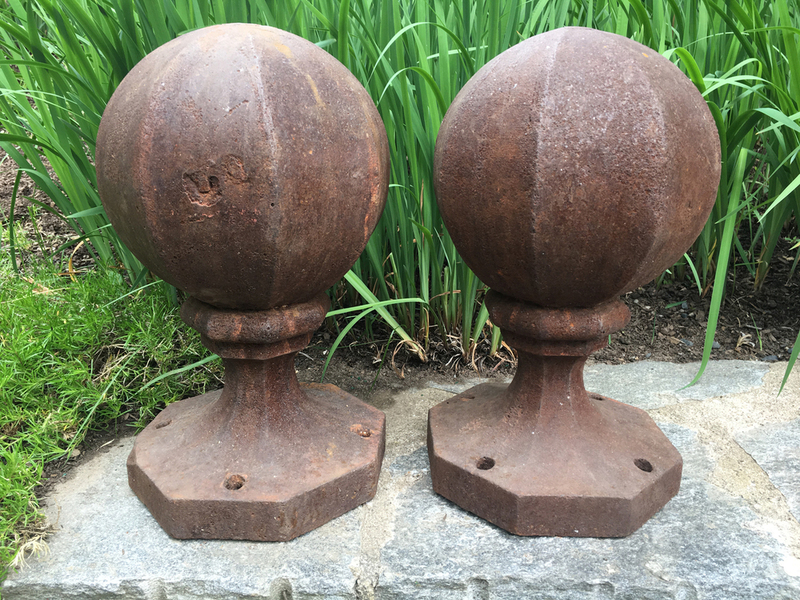 Beautifully rusted to a warm brown, they can be sandblasted and repainted to your specifications if desired. Great atop a stone wall, on a pathway flanking the entrance to your garden, or on a deep mantle in a library. 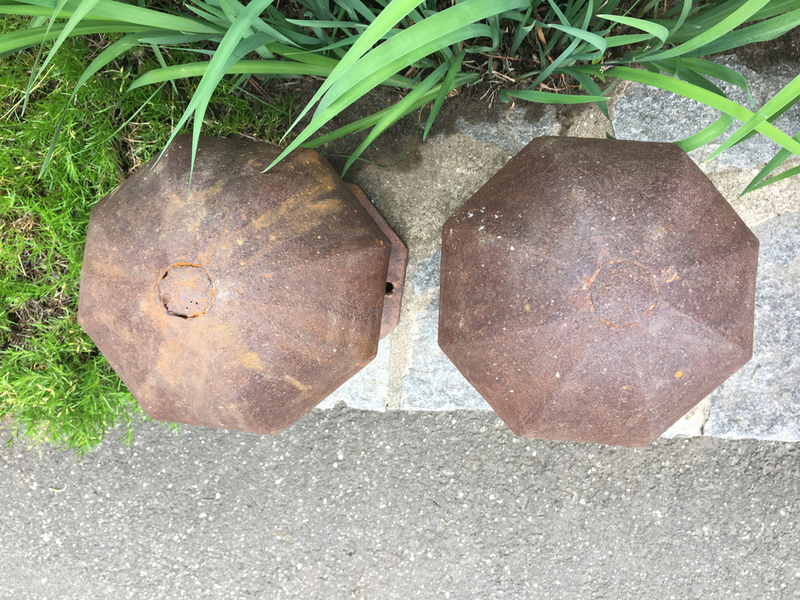 Wonderful condition and extremely heavy, these feature original bolt holes on each base for permanent mounting.